Starting on Friday a brand new type of ransomware called WannaCry or WannaCrypt began spreading across the globe at a never before seen rate, while PC Matic’s customers remained secure. If you’ve been reading any publications or watching the news in the last three days you have probably heard about a ransomware attack that is currently taking over the globe. As of writing it’s estimated that WannaCry has infected 200,000 endpoints worldwide with a majority being outside of the United States. We currently have no reports of PC Matic customers being infected with this strain of ransomware. After an infection, the ransomware uses a vulnerability in Windows SMB to spread across the network and find more computers to infect. The ransomware’s focus is on businesses because it can attempt to spread across the entire network and capture a large amount of endpoints with it’s encryption. Most home customers will not have to worry about this spreading across their PC’s and if you’re using PC Matic it will block execution of the malware and prevent infection on the computer because it’s an unknown piece of software that is not on our whitelist. While version 2.0 of WannaCry has already been released and it’s almost guaranteed that cyber criminals will continue to adjust this strain of ransomware and create more using similar spreading methods, we’re very confident that our protection will keep customers who are running Super Shield secure. To ensure that your computer is protected by PC Matic, check your system tray for the Super Shield icon. If the Shield is green you know that you’re secure. 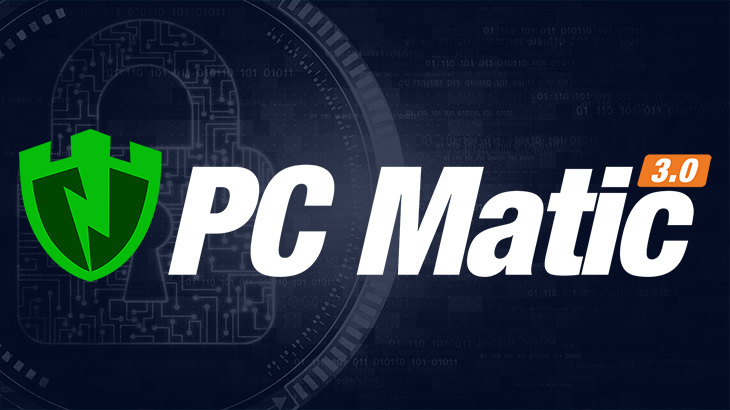 If you ever need assistance with PC Matic or assistance determining if you’re secure, remember to contact our support team via pcmatic.com/help which is our only official support and is available 7 days a week. You can read more about WannaCry and the operating systems it is affecting along with thoughts from our VP of Cyber Security Dodi Glenn here. Ransomware, The Pit Blog. permalink.